In general, I like to write about things you might not know about France, French language, French culture, French history, or, of course, French cheese. In this case, however, I might be writing about something I don't know about and you do. While I'm trying to make a quick sketch-painting of this photograph of Collioure (pronounced "Coal-YURE") in southern France, my fellow art-class students comment on my lovely "heure bleue" subject. It turns out that l'heure bleue -- the blue hour -- is the name for the hour or so after sunset, before it gets really dark. The sky turns that deep blue, and it's great in photos and paintings. But I've never heard of it. 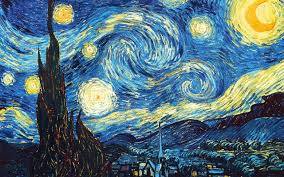 It seems to me that The Starry Night by Van Gogh is more Starry Blue Hour, frankly. 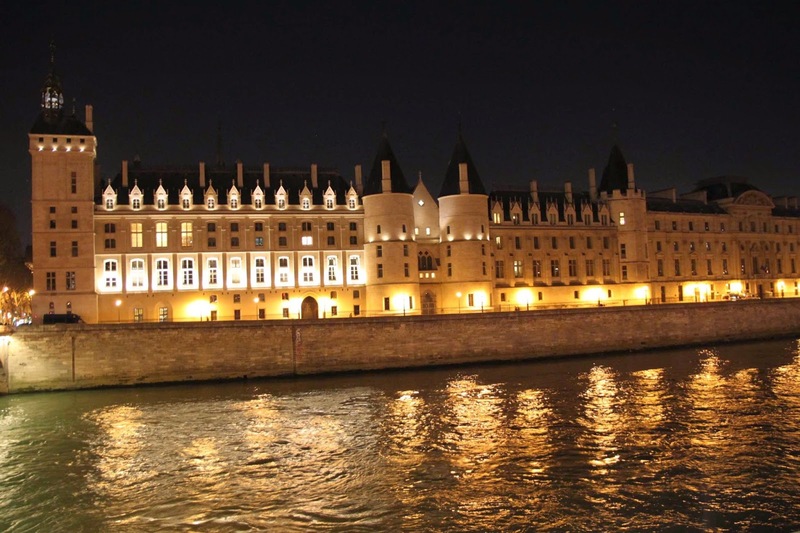 Here are two photos of the Conciergerie, on Ile de la Cité, that show the difference between the blue hour and regular old nighttime. This explains the origins of the name of the perfume, L'Heure Bleue by Guerlain, created in 1912. Besides perfumes and paintings, the blue hour has appeared in books and movies. 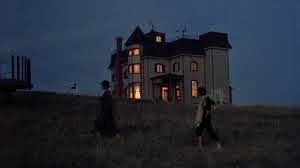 Terrence Malick shot his film Days of Heaven, almost entirely in the blue hour, which limited his shooting time to about half an hour after sunset each day; this must have been a financial and logistical nightmare, but it did earn his Director of Photography, Nestor Almendro, an Oscar. Much less romantically, in England, the Blue Hour was the name for the traditional period in pubs between lunch and dinner service (around 3:30-6:30), though in modern times you can generally just drink and eat straight through if you want. While I find many more references to l'heure bleue in French, I do find a few mentions of the blue hour -- that gorgeous lighting after sunset -- in English, too, which makes me wonder if you've all been talking about the blue hour all your lives, and it's only me that's never heard of it. Bleu de Bocage, as it is often written, is probably more correctly Blue du Bocage, meaning Blue of the Grove. It's a rare goat's milk blue, made by Pascal Beillevaire in the Vendée region, but one that you can actually find in the US sometimes, thanks to the fact that the milk is pasteurized. I've seen some descriptions about its taste, ranging from meaty to creamed spinach. Frankly, the only explanation I can offer for such descriptions is that the tasters must live in the US and not have regular access to unpasteurized blues, because, this, my friends, is a mild blue. Very, very mild. It's not boring, however, and I don't mean to imply that. 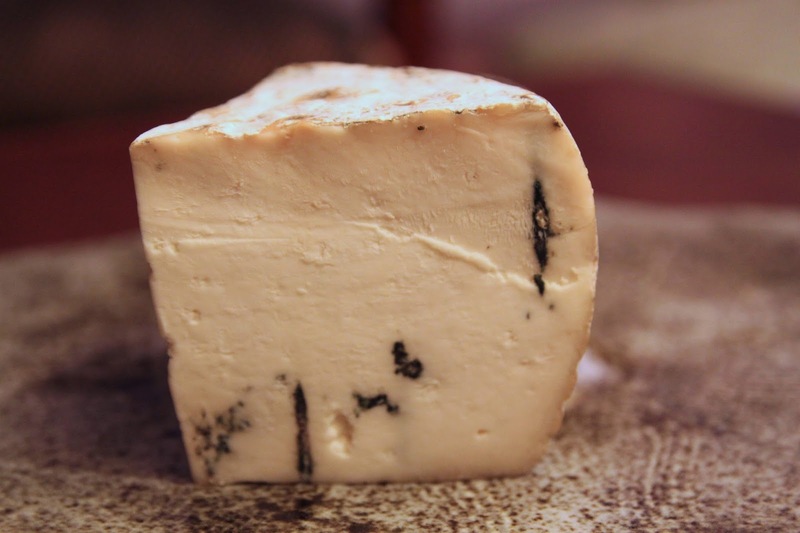 After being aged for around three months, it has a texture just between chalky-dry and creamy. The veins can be more pronounced, but in general, like my sample, it's only a lightly veined cheese. Bleu de Bocage has a delicate herbal flavor, with very little hint of tang and almost no gaminess. Both the name of the hour and of the cheese are as blue as blue can be. Ironically, while the blue hour really is very blue, Bleu de Bocage is only mildly blue in taste, and barely blue in color. The mold veins are more like midnight-black than blue-hour.